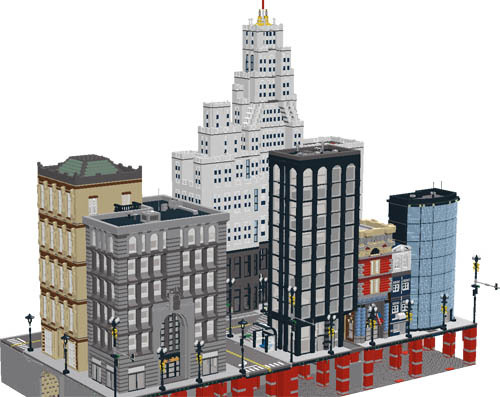 Brick Town Talk: The New and Old - LEGO Town, Architecture, Building Tips, Inspiration Ideas, and more! I'm breaking my rule of not posting digital models...but this layout was just too good to pass up. The design of the buildings are very realistic and no doubt probably took a LONG time to build, but it was worth it. Scrunched in between the two buildings on the right is lgorlando's barbershop. I really dislike that the pictures no longer come up in the feed. Okay, you should be able to see them now. Wonder how much that would cost to buy.